Chizai is a group that believes in blending popular numbers of varying genres with a tad bit of acoustic, funk and soft rock vibe. They believe in constantly experimenting to deliver a fresh sound to much-heard songs, in a way that makes them unique to the audience. 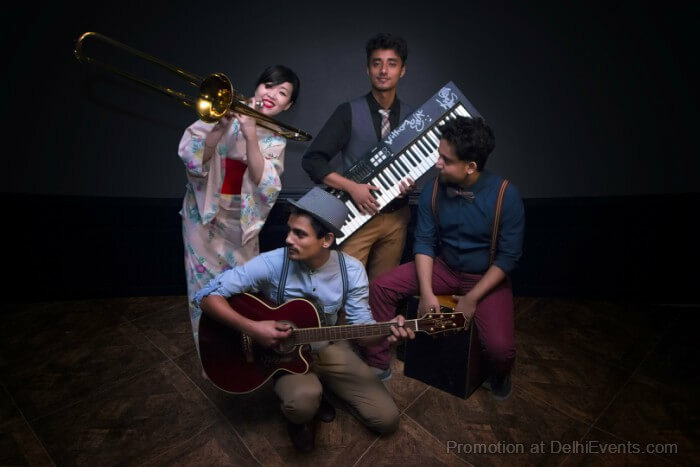 What started as two friends busking on Delhi streets, Chizai has grown into a family of five now, in the true spirit of music, which is more often than not a happy accident. With their unorthodox blend of instruments, featuring a Cajon, trombone, trumpet, bass, guitars, ukuleles, keyboard; we are constantly experimenting with our sound, aiming for good times and happy vibes for all those that listen with their electro-acoustic sound. Their maiden EP is underway, with two songs ‘Faraway’ and ‘Heal’ out now on all major platforms and the title track ‘Homecoming’ midway through recording.